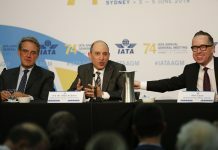 The International Air Transport Association (IATA) has called for more effective enforcement action against unruly passengers in the face of a growing number of serious incidents. A recent report from IATA records an overall decline in reported incidents from one per 1,205 flights in 2015 to one for every 1,424 flights last year. However, the proportion involving physical aggression or damage to aircraft increased from 11 per cent in 2015 to 12 per cent in 2016. Passengers had to be physically restrained in 169 reported incidents, compared with 113 in 2015. 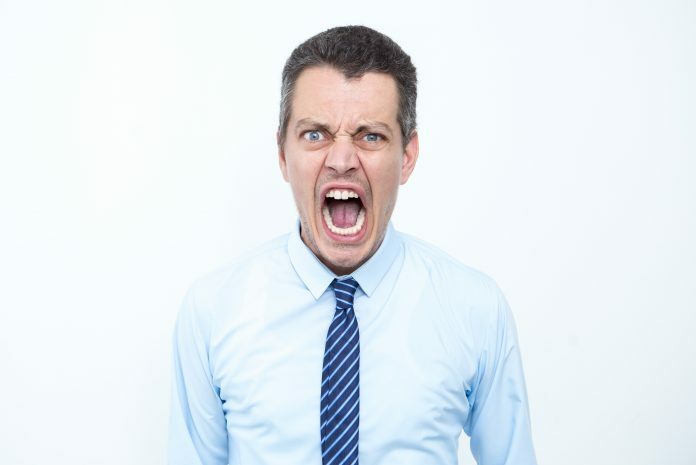 Tim Colehan, IATA’s Assistant Director of External Affairs, told USA Today that cabin crew could often manage level 1 (verbal) incidents with de-escalation techniques learned in training. ‘[But] we saw an increase in incidents where all other forms of de-escalation had been exhausted and the cabin crew had no other option but to restrain the unruly passenger for the safety of everyone onboard,’ Colehan said. In Australia, it is a strict liability offence under CAR 256AA for a person in an aircraft to ‘behave in an offensive and disorderly manner’. Under CAR 256(1) it is also a strict liability offence for any person to enter an aircraft while in a state of intoxication. Incidents can be expensive for the perpetrator. 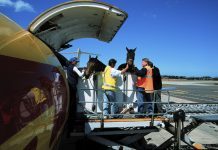 In September, a man who disrupted a domestic Hawaiian Airlines flight to the extent that it had to turn around was ordered to pay nearly $US100,000 in compensation to the airline. According to an Associated Press report, the man was accused of drunkenly threatening his girlfriend, her children, other passenger and crew members, and slapping a flight attendant. This sort of behaviour will only continue, society has become so soft at discipline, corrupt judicial systems where judges should be locked up more cause they are pathetic & should be ashamed of themselves! That coupled with flying being so cheap these days every bogan out there now crawls out from under their rocks and flies, what do we expect? Decorum from the low IQ uneducated scum? I agree with Wally, I had my first airliner flight when I was 14 yo, that was seventy two years ago, we were dressed in our Sunday best and behaved appropriately. Today they dress as though they intend to work in the garden and behave the same way. It is not “the low IQ uneducated scum? but the trend taking a rise out of the establishment. Bums on seats drives airlines to accept this behaviour, if our government were to accept decorum dictates behaviour and behaviour dictates safety, but seeing the behaviour of politicians I don’t think we stand much chance. I would be interested to know where most of these incidents happen. Is some of this the fault of some airlines? We have seen this year at least two incidents in the US where airlines had overbooked aircraft and passengers who had bought and booked a seat were removed from the aircraft so another passenger who had bought and booked the same seat could fly. This would naturally cause aggression directed at airline staff with those passengers. Unruly and disruptive behaviour exhibited by certain of the travelling public has been an unpleasant reality in the work environment of the aircraft cabin for many, many years. There have been an exhaustive number of theories put forward as to why?! And indeed why stastistics indicate it is on the increase. One thought on this point is the increase in passenger numbers and the introduction of more appropriate reporting programs and processes. Plus societal norms have changed over the years to accept more outspoken behaviour and lower standards of how one presents oneself. Respect and manners seem to be in much shorter supply these days. Were there to be an open and unambiguous sharing of all airline incidents I have no doubt the number of IATA documented occurrences would be far greater! In addition, it would most likely also result in a cross section of demographic, from business people to holiday makers to 1st Class and to economy on a low fare. Across nationalities and cultures! I would like to submit to this discussion that airline operators should take a more comprehensive look at their procedures for identifying problematic individuals prior to boarding the aeroplane. I sincerely doubt that many operators have processes documented that would adequately support Cabin Crew who identify a passenger who is unfit to travel from boarding, or, airline management on the ground with the whereforall to support Cabin Crew. ICAO identified almost 20yrs ago there was a rising problem. Guidance Legislation was produced to assist States in managing the problem. Australia has appropriate Regulations for the subsequent prosecution should it be necessary. HOWEVER – as was flagged in Montreal at an ICAO Meeting in 1999 – why not address the issue on the ground, in the terminal, before it becomes a potential safety of flight issue once having taken off!!!!! Perhaps it is about time two jurisdiction regulatory bodies here in Australia need to join forces and provide a united approach to addressing this matter. Is it a security matter or a safety matter? If the powers that be could decide on that then perhaps progress could be made in this country. To simply say one to the other – this is your aviation security problem OR this is your aviation safety matter is, and always has been insufficient! 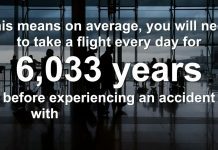 Meanwhile, this problem will remain the unpleasant reality in the working life of Cabin Crew the world over. In NZ we have had a senior politician who deliberately went through a no entry door to avoid security screening and a very wealthy property magnate who was removed from a flight before departure because of his behaviour.-he subsequently bought his own light jet. I recently flew Air Canada 6 trips in 10 days and every flight was a late departure / late arrival, the food service was really bad and most of the flights were overbooked, therefore they are asking you to give up your seat on a regular basis. One time AC lost my luggage for 3 weeks on a trip to London. I really loath flying commercially now and I am planning to charter a business jet for my next trip. No more commercial airlines if I can help it.